Those of you who follow me on Social Media (just incase you don’t, you can find me on Twitter and Instagram) will no doubt have seen that I have spent the last 8 days in one of my favourite cities in the world – Dubai. I’ve been visiting Dubai regularly for many years now and one of the the things I love about this diamond in the desert the most is its’ ability to constantly evolve. 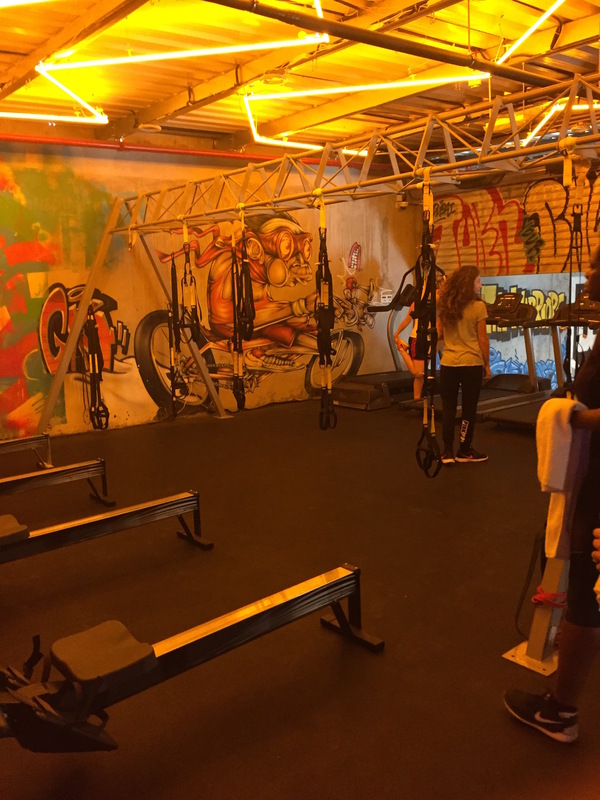 The fitness scene there is no different and I was excited to see that boutique workout studios are starting to pop up across Dubai and so during my trip decided to go and check out 1Six8 and take part in one of their signature Burn classes. 1Six8 was set up by former UK based trainers Brian Cochrane and Linda Chambers Cochrane – a fitness power couple if ever there was one! Between the two of them they have created four unique workouts – Burn, Pedal, Punch and Bend, all designed to maximise time spent in the gym and obtain results similar to those gained working out with a PT, but without the price tag. As I was going to be visiting the studio just before partaking in an infamous Dubai Friday Brunch (all you can eat and drink….. enough said!) I decided to try out the Full Body Burn which promises to torch up to 1000 calories in a 50 minute session. 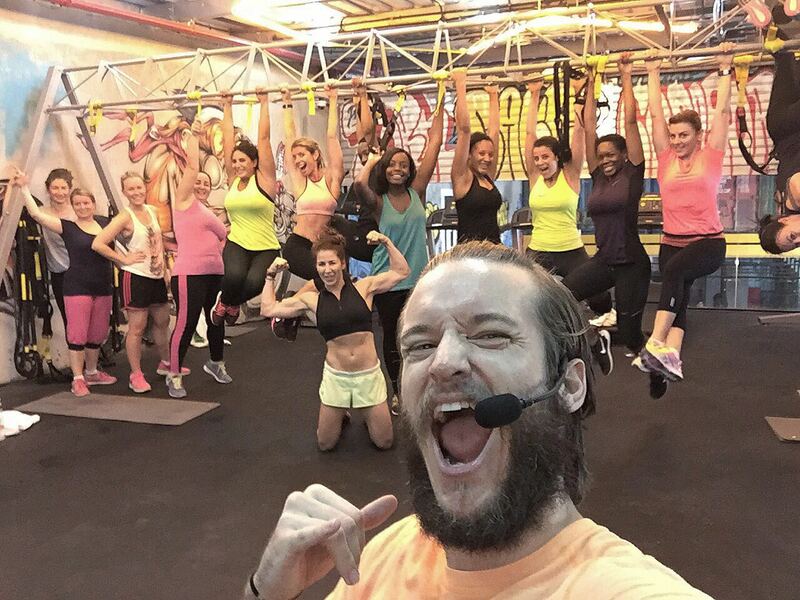 The 1Six8 studio is housed within the Warehouse Gym, a stone’s throw from the Mall of the Emirates. Straight away I was struck by just how cool the space was – urban yet welcoming with plenty of attention to detail. There’s even a cafe on site so I could pick up a pre-class coffee, and indeed a post-class green juice or protein shake and a much needed homemade Protein Power Ball or Quest Bar to refuel afterwards. If you’re a fan of 1Rebel or Barry’s Bootcamp then you’ll LOVE 1Six8. I won’t spoil the workout too much but the particular session I took part in revolved around partner work – one partner performing a cardio based exercise (in this case rowing or running) whilst the other performed a resistance based exercise (involving dumb bells, benches and TRX) until their partner had completed a certain distance. Then at the end we got to well and truly feel the burn with a group Tabata circuit to finish us off. 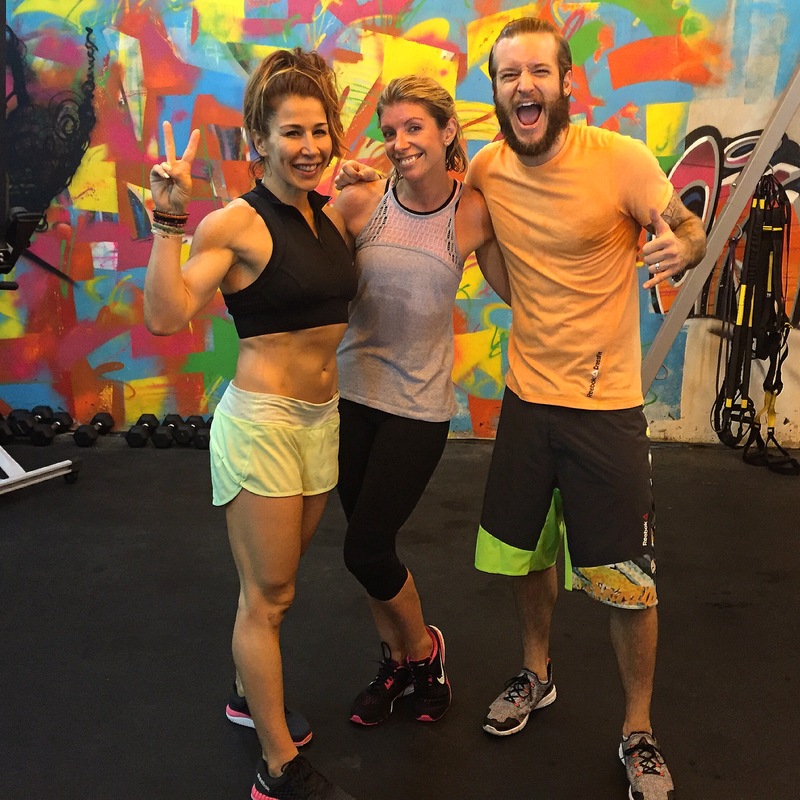 The class was tough but there were plenty of options and Brian tried to ensure partners of similar fitness levels worked together (and paired me with his gorgeous powerhouse wife Linda…. cheers Bri, no pressure!) and kept the motivation up throughout the whole 50 minutes. Burn it most certainly did, and I loved every minute! 1Six8 have some ambitious and exciting expansion plans in the pipeline, and with workouts like this that achieve maximum results in minimum time it’s easy to see why. 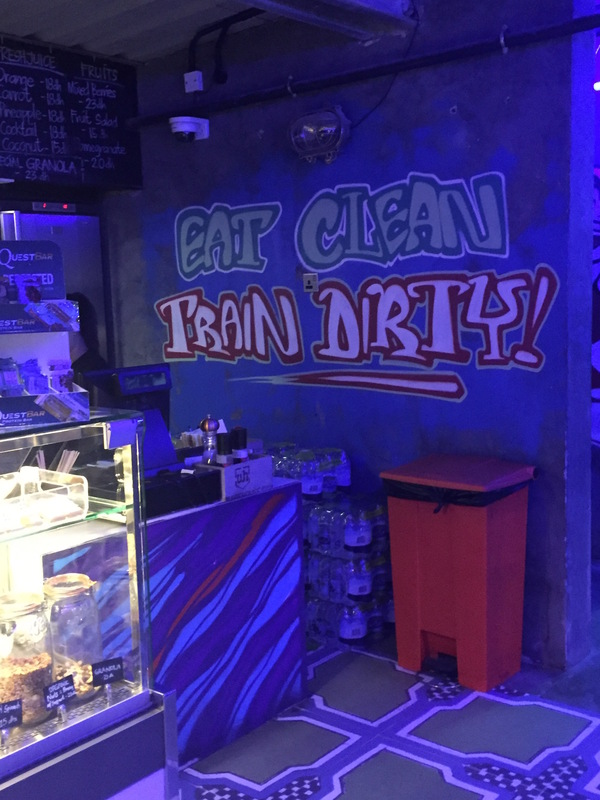 If you find yourself in Dubai and keen to counteract all the amazing Middle Eastern food then I highly recommend you visit this boutique group training studio. Check out their website for location and prices – single sessions are available – but see if you can stop at just one visit…..